Any fatal accident is a tragic one and one that recently occurred in Medford was no less so. This past April a 17-year old driver with only a learner’s permit was driving without an adult in his car while on Spring Street when he struck a 64-year old woman who was crossing the street, causing her fatal injuries. The teen driver did not stop after the accident and continued traveling and struck two more pedestrians who were walking their dog, seriously injuring them and killing the dog. The driver eventually stopped on Yeomans Avenue when his car collided into the side of the Citizens Bank building. The teen was arrested on suspicion of OUI causing serious injury, or operating under the influence of a drug. He has since been charged in juvenile court with leaving the scene of a fatal accident, operating to endanger, and unlicensed operation of a motor vehicle. 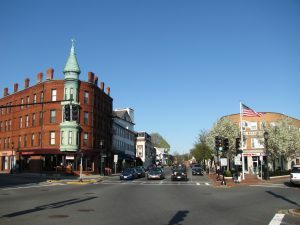 Medford is a medium sized community of around 60,000 and is located on the Mystic River, just 3.2 miles northwest of Boston’s downtown. Fatal accidents are rare in Medford with just 2 each in 2013 and 2014. Overall, however, car accident fatalities in Massachusetts in 2016 rose to 399, up from 354 in 2015. Below average seat belt use in our state accounts for many fatal injuries that could otherwise have been prevented. In cases like these, a Medford car accident lawyer is usually involved with the family of the decedent and with the injured victims of the OUI to get them the compensation their claim deserves. Drug and Opioid Use to Blame? The responsible teen driver in the Medford tragedy was allegedly under the influence of a drug. Like many other states, Massachusetts authorities are battling opioid drug use. In 2017, there were over 2000 overdose deaths in our state, nearly 3 times the number of just 5-years ago. First responders reported that they administered Narcan, a drug used as an antidote to overdosed patients, a staggering 20,000 times last year. Driving under the influence of a drug is as illegal as is driving under the influence of alcohol since you are impaired. With alcohol, it is illegal to drive with a blood alcohol concentration (BAC) level of 0.08%, or if no test was taken, then driving while impaired based on certain observed symptoms or behavior indicative of intoxication. There is no standard or objective level for certain drugs found in your system at which operating a motor vehicle is unlawful so law enforcement must use other criteria to determine impairment. This not only includes driving conduct but a careful assessment of the driver’s physical appearance or demeanor, speech, ability to understand questions and to give appropriate responses, ability to walk, or perform certain field sobriety tests. A breath test will not detect levels of drug use or identify a category of drug though blood tests will. Drug recognition experts at the scene of a stop will often use a test called Horizontal Gaze Nystagmus whereby a suspect is asked to follow an object like a pen or a small flashlight that the officer moves back and forth across the eyes so as to observe certain jerky eye movements that can suggest the presence of a drug. However,even if a blood test indicates that the defendant has heroin, cocaine, meth, or some other drug in his system, there is no legal assumption that the defendant was driving while impaired without other subjective evidence of impairment. Teen drivers cause a disproportionate number of car accidents. Nationally, car accidents are the leading cause of death for teens. Teens are novice drivers, of course, but they are also more apt to drive distracted, which means driving while texting or other use of a cell phone. They take more risks driving than older novice drivers, since many teens feel invulnerable and lack life experiences such as encounters with dangerous conditions or circumstances. Statistics show that teens speed more, are less likely to use seat belts, and have a higher incidence of driving under the influence. The Centers for Disease Control (CDC) reports that 30% of car accidents nation-wide involve teen drivers though they comprise only 14 % of the population. In Massachusetts, drivers under 20 account for 8% of all fatal car accidents, which is below the national average. However, parents are encouraged to do more to prevent deaths and serious injuries as what recently occurred in Medford. A survey by CarInsurance.com found that 59% of parents permitted their teenage children to violate at least one provision of the GDL, or graduated driver’s license, including driving without an adult, driving at night, and driving while using a cell phone. If you or a loved one were the victim of a car accident caused by a teen driver, immediately contact a teen driver lawyer or attorney experienced in car accident injury claims. In most cases, the teen will have driven an insured vehicle so that victims can look to the car’s insurer for compensation. If not, then the victims can pursue compensation under the uninsured provision of their own policy. Pedestrian victims can use their own auto policy or that of someone in their household for coverage. If the responsible party’s insurance coverage is minimal, then you can use the underinsured (UIM) provision of your policy as well. For instance, if the defendant’s policy was $25,000 and your UIM is $100,000, then you can use up to $75,000 of your own policy once the $25,000 has been offered and exhausted. In the Medford accident cited above, the victims may not be adequately compensated unless they have substantial UM, if applicable, and UIM coverage. If the teen was insured at 50/100 for example, then no one victim can recover more than $50,000. If one party received the maximim of $50,000, the other two victims would have to split the remaining $50,000. This is one reason why injury lawyers and insurance agents encourage consumers to purchase a minimum of $100,000 for uninsured and underinsured coverages, though you can buy up to $500,000. A Medford car accident lawyer can sometimes find that other parties may have been responsible for the accident. For example, the brakes on the teen’s car may have failed due to a defect that is the responsibility of the manufacturer or from faulty maintenance by a mechanic. The steering mechanism may have also failed. Road defects are not uncommon and a motorist’s view may have been obscured. By retaining a teen driver lawyer in such cases, your lawyer may uncover other sources of compensation that would otherwise have been overlooked. Regardless of drug or alcohol use, however, a victim of an OUI cannot pursue punitive damages against the drunk or impaired driver who caused the accident unless there was a fatality. Insurance companies do not provide for coverage for punitive damages, however, so a plaintiff who recovers such an award will have to recover it from the defendant personally, which is generally futile unless the individual has substantial personal assets. The attorneys at Burns and Jain are experienced Medford car accident lawyers who can thoroughly investigate and prosecute your claim. Call us if you or a loved one was injured. You can expect no more than the highest quality of representation. Call our offices today at (617) 227-7423 to discuss your injury claim.